Analytics are becoming increasingly important in healthcare: marketers use it to optimize their campaigns, population health researchers use it to identify at-risk populations, and physicians use it to decide which drugs to prescribe. However, with healthcare organizations and patients generating so much data, it’s sometimes impossible to make sense of it–or make the data actionable. In fact, the amount of health information produced is doubling every three years, and by 2020 it is estimated to double every 73 days.1 And while the quantity of data is intimidating for most, it also offers health systems an opportunity to drive change, especially to improve patient access. It all starts with centralized data. Centralized, reliable provider data is important for powering your digital provider inventory, driving your online acquisition strategy, and helping you gain visibility into your provider network. 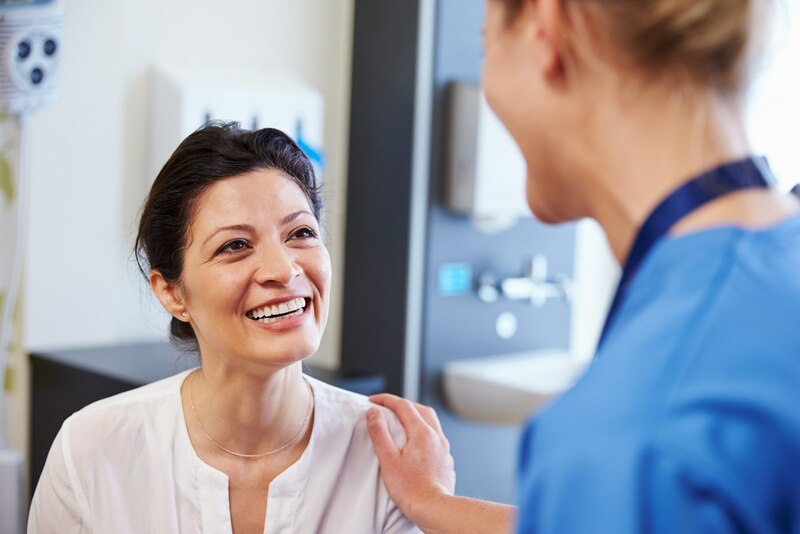 Most importantly, however, it serves as the basis for which you can derive insights about how patients access your care, spot potential barriers to access, and make strategic recruiting decisions to fill clinical gaps. Successfully leveraging your data starts with tracking the right metrics. Convenient patient access is a top priority for leaders at many of the nation’s leading health systems, yet only 26% of them have instituted access solutions.2 A common barrier is a lack of visibility into the right metrics that identify access challenges. Prioritizing the right key performance indicators (KPIs) can help your health system understand where you stand on patient access–like how patients are entering your system & why they’re existing it–and identify areas for improvement. The insights your health system gathers from key patient access metrics can serve as the foundation for targeted patient access initiatives, like creating a consistent experience or reducing wait times. Many health systems struggle with long appointment wait times–it takes on average 24 days to schedule a new patient physician appointment in many of the US’s major cities.3 In some cases, it’s a shortage of physicians, and in others, it’s a misuse of appointment capacity. Regardless of the cause, your data can give you insight into patient access challenges, like delayed access to care, as well as help your organization develop potential solutions. This might mean hiring more physicians in a given area, in this example, or finding ways to use existing appointment capacity more efficiently. Measuring isn’t always easy to do, but centralizing data can lay the foundation for deriving actionable insights to enhance patient access. How will your organization use data to move the needle on access? To learn more about the metrics your organization needs to track to optimize patient access, download our free whitepaper. 1 IBM. Healthcare's Data Dilemma: A Blessing or a Curse. 2 AHA & Avia. Survey on Health Care Digital Innovation, 2017. 3 Merritt Hawkins. Survey of Physician Appointment Wait Times, 2017.